These wildflowers are called Fire Pink Silene virginica. While riding along Little River Road looking for trilliums when I saw them. Whenever I see them I can't help taking a photo especially when they grow in such large bunches as these. So, I added them here. Not far from these we found more White Erect Trillium, Trillium Erectum growing on the cliff side of the Little River Road. Fire pink...these are beautiful! I would have been so excited to see these! And those white erect trilliums are lovely, as well. Thank you Kay. 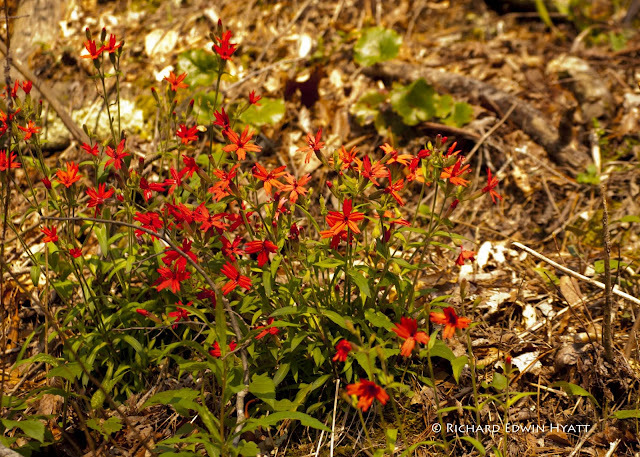 Fire Pinks will be blooming on the Blue Ridge Parkway soon. 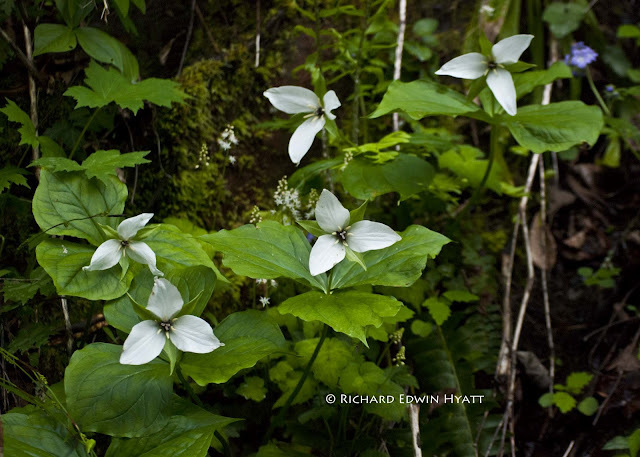 I am having a lot of fun hunting for trilliums right now as well as other wildflowers.